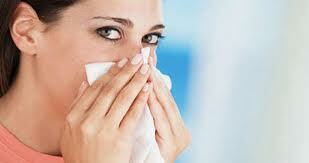 We have a myriad of ways to dispel flu symptoms. When my throat started burning, runny nose, heavy head and body chills, we are ready with a glass of warm water mixed with lime juice and honey, lo han kuo brewing tea, or a dollop of ketchup dikucuri lime. The others then taking vitamin C or just taking cold medicine. These methods are not wrong anyway, but if you have flu symptoms strike, medical drugs and traditional is still needed time to recover your condition. In fact, if you want to set aside 20 seconds every day to do these simple steps, your risk of flu symptoms will decrease to 51 percent. According to the Centers for Disease Control, hand washing with soap and water on a regular basis is the only easiest way to avoid the spread of virus infection. If only everyone used to do this, one million deaths each year would have been prevented. The survey from the CDC found that 80 percent of all infectious diseases spread by touch. Each year 40 million Americans fall ill from the virus spread through the hands. In fact, hand washing habits among the public is quite alarming. In America, 90 percent of people claim that they always wash their hands after using public restrooms. However, observations conducted by researchers at the six airports in the United States found that only 26 percent of men and 17 percent of women washed their hands. The latest survey even found, only 24 percent of men and 39 percent of women who wash their hands after using the hands to cover your mouth when sneezing or coughing. This fact encourages CDC to advise people to always wash your hands before and after preparing food, before eating, after changing diapers or using the toilet, after sneezing, coughing, blowing your nose, after touching animals, after the fall of public transport and public places other, and after touching the trash. According to the CDC, hand washing reduces the risk of colds and other respiratory illnesses by 21 percent, and reduce the risk of diarrhea and severe intestinal infection by up to 59 percent. You are advised to wash hands with soap and clean water, but the hand sanitizer that contains at least 60 percent alcohol would help, although it will not eliminate all types of germs. Familiarize yourself washing your hands will also protect you, your family, and your friends from a disease of the respiratory tract, as well as more serious diseases such as hepatitis A, or meningitis (inflammation of the lining of the brain).